In a Criminal Complaint unsealed on July 25, 2012, the U.S. Attorney's Office for the Southern District of California in San Diego announced that it had charged 8 people and 3 companies with conspiracy and customs fraud. Among those arrested was Gerardo Chavez, the President of the San Diego Customs Brokers Association, and owner of a customs brokerage company, Tecate Logistics, LLC. 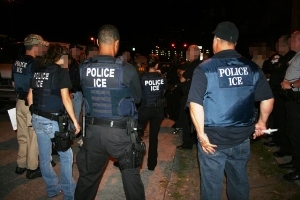 According to the press release by the U.S. Department of Justice, the customs broker and his employees conspired with various individuals and companies to enter merchandise into the United States "in bond" to avoid paying customs duties, then forged official U.S. Customs and Border Protection (CBP) stamps to attempt to establish that the shipments were transported into Mexico. In reality, the shipments never left the United States, but were distributed to various customers throughout California. The imported merchandise was worth over $100 million, and the unpaid duties on the imported cigarettes, apparel, and food products was about $10 million. Criminal Complaint Case No. 3:12-mj-02756-KSC alleged violations of 18 U.S.C. 371 (conspiracy to defraud the United States), which provides for a maximum penalty of 5 years in prison and a $250,000 fine; 18 U.S.C. 542 (entry of goods by means of false statements to CBP) which provides for a maximum penalty of 2 years in prison and a $250,000 fine; and 18 U.S.C. 1519 (obstruction of justice) which provides for a maximum penalty of 20 years in prison and a $250,000 fine per count. The case was investigated by CBP, U.S. Immigration and Customs Enforcement (ICE), and the Office of Criminal Investigations of the U.S. Food and Drug Administration (FDA). Procedurally, the Criminal Complaint was filed, under seal, on July 23, 2012. Arrest warrants were issued that day. Mr. Chavez and others were arrested on July 26, 2012, and have made their initial appearance before Magistrate Judge Crawford. Some of the individuals charged with crimes remain at large as fugitives. This shocking case is of great interest to those of us in the logistics business, any owner of a customs broker business, any employee of a customs broker, and anyone who handles in-bond merchandise. I will continue to report regularly on developments in this case. I also remind readers that a Criminal Complaint is merely an allegation. Many brokers are approached with this type of scheme at any point during their career. It always surprises me when a broker decides to enter in any activity that would put his/her license in jeopardy. I don't know, maybe he didn't need to study hard to pass the test. Throughout my career I've been asked to replace the content of a carton with rocks of equal weight in order simulate the exportation and circumvent duty. I was fired from one company for refusing to manipulate cargo in the bonded warehouse without a 3499. Most brokers have been experienced these kind temptations in their careers, but few take the bait. There was a broker in Miami who was convicted and served time in prison for similar activity. Yet he was able to get his license back and continue to operate. Do you have any insight on how it is possible for someone to commit a felony and recover his Customs Broker's License? If you commit a crime of this nature, and fail to uphold your oath to insure that your clients comply with all Customs regulations your license should be revoked. This is the main reason why customs have a bad image in the public. As for the arrested personnel, this will serve as a warning for those who do bad things in the customs department.